This Crime Stoppers Program began in 1984 from the efforts of Captin Dave Hanson. Our Program now operates as an independent organization. The concept has developed into a combination of efforts by local media, businesses, civic and social clubs, law enforcement agencies, and the public. Donations of airtime, newspaper space, and reward monies have established Crime Stoppers as an effective tool to fight crime in the area. 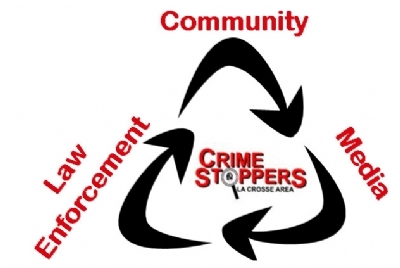 La Crosse Area Crime Stoppers creates a Partnership with the Community, Media, and Law Enforcement to Solve Crime. The program will offer anonymity and cash rewards to persons who furnish information leading to the arrest and filing of criminal charges against crime offenders. The program is administered by a Board of concerned citizens of the surrounding communities, and is completely funded by tax deductible donations.